IT Service Management through the RESTful API with this free add-on. Minimize the gap between incident detection and kickoff of the resolution process for improved SLA compliance. Relieve the burden of manually handling tickets of the same type with automatic ticket correlation, alert consolidation and flood suppression. 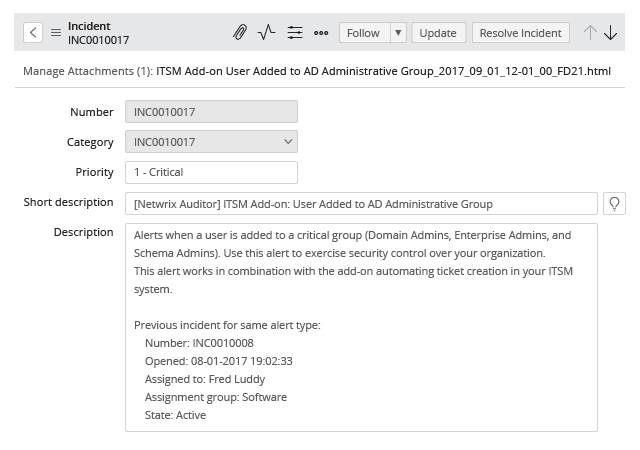 Enable centralized incident management and integrate alerts directly into the IT workflow, in accordance with ITIL standards. 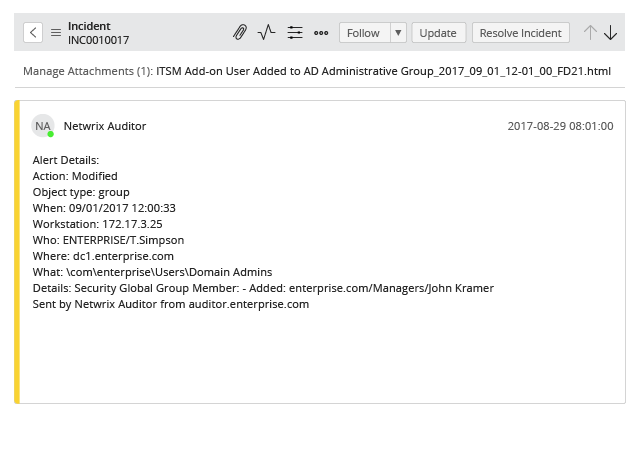 Have tickets automatically generated based on Netwrix Auditor alerts and immediately assigned to the right person or team. Avoid ticket overflow by correlating alerts of the same type to one ticket or having new tickets reference previous ones of the same type. Get all necessary details, including who-what-when-where data, automatically included in the ticket activity feed and attachment. 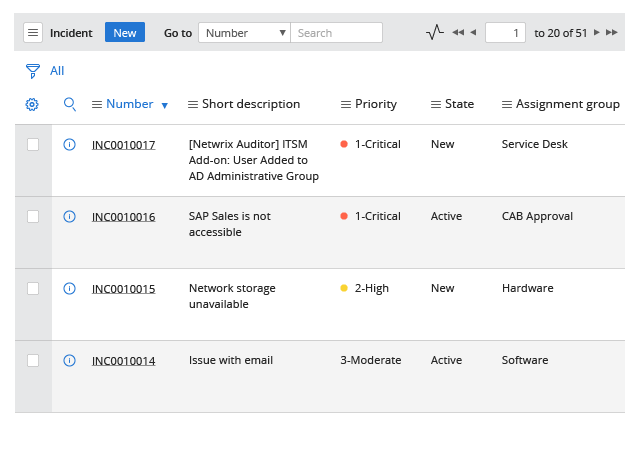 Review detailed instructions for installing the Add-on for ServiceNow Incident Management. 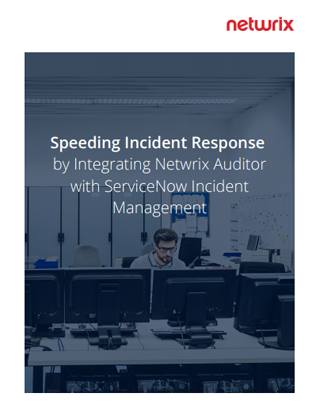 Start automating your incident response processes in ServiceNow and watch your response times plummet. 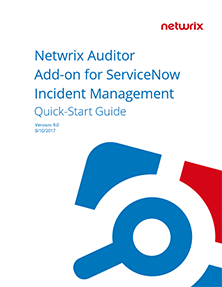 This eBook elaborates on how the Netwrix Auditor Add-on for ServiceNow Incident Management can help you prevent data breaches and costly downtime by automating the detection and registration of critical security and operational events across a wide range of IT systems.